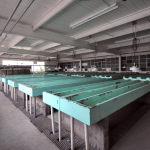 The Clarks Creek Hatchery is listed on the Washington and National Registers of Historic Places. 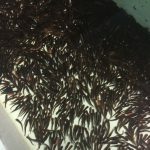 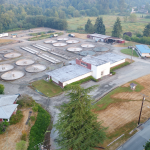 As mitigation for widening I-5 through Puyallup Tribal Lands, the hatchery is being rehabilitated to incorporate salmon rearing while maintaining the current trout production. 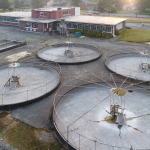 Designed by Gustav Karla, the hatchery is significant because the fish hatchery operation was important to the economic and cultural development of the region and because of the mid-century modern design of the facility. 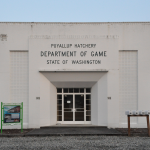 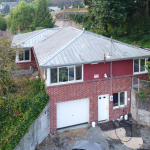 Significant historic fabric is planned to be removed to accommodate new hatchery facilities and practices while retaining the historic character of the hatchery. 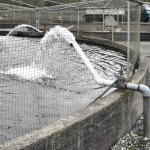 New facilities will include new rearing ponds, round ponds, adult holding ponds, a pollution abatement clarifier pond, creek/spring intake system, water distribution/aeration tower, storage facilities, incubation facilities, replacement of all piping, storm water collection/treatment, a fish collection box and loading system. 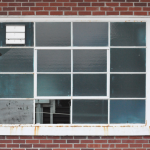 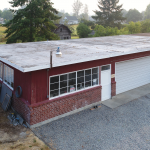 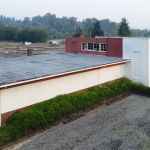 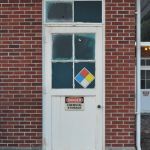 The historic hatchery building, shop building, and overall site layout will be retained. 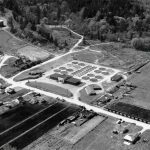 New round ponds will replicate historic round ponds to the west of the hatchery building.